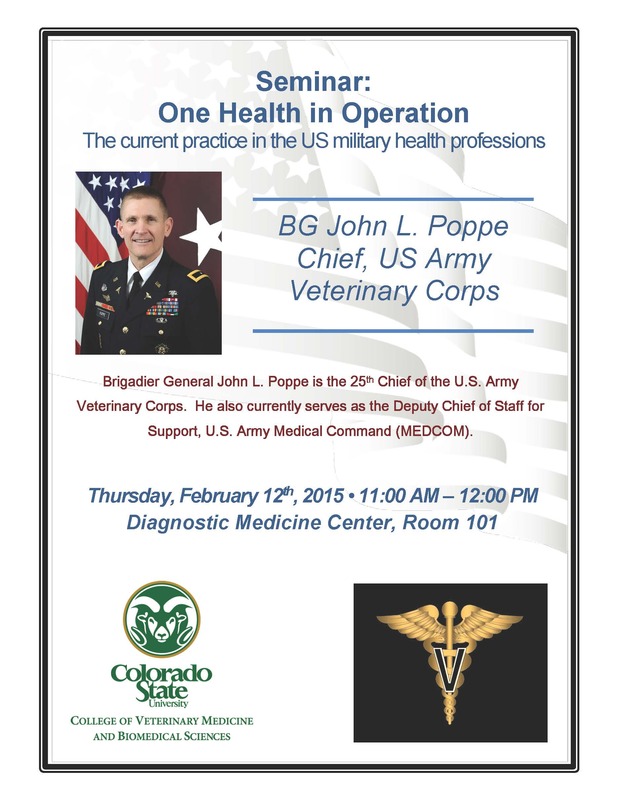 Brigadier General John Poppe, the highest ranking military officer with a veterinary degree, will be visiting CSU on Thursday, Feb 12! He will be providing a “One Health in Operation” seminar starting at 11am in Room 101 at the CSU Diagnostic Medical Center (Map of DMC). Please come join us! Pizza will be served after the lecture, and if you plan to attend, please RSVP HERE!